The Ebonite Compact Single Tote is just as described. Compact enough to fit into your bowling locker. 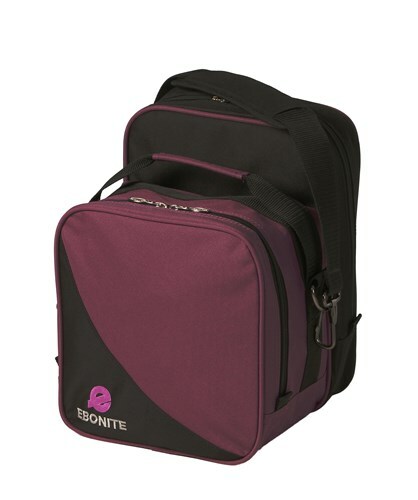 This bag is perfect because it has a separate shoe compartment which makes taking your ball out convenient. Easy, removable shoulder strap and is super sturdy. Hello Deb. The colors in the pictures will vary. Due to the time it takes to produce the Ebonite Compact Single Purple/Black ball it will ship in immediately. We cannot ship this ball outside the United States.